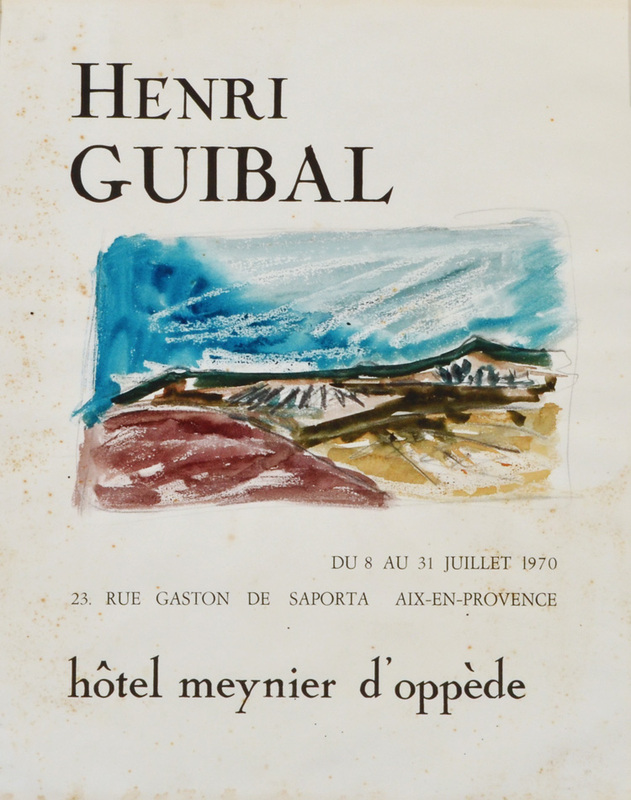 Watercolor study for festival poster by Henri Guibal, 1970, sheet size measuring 19 5/8 x 16 inches, inscription by artist on lower border. 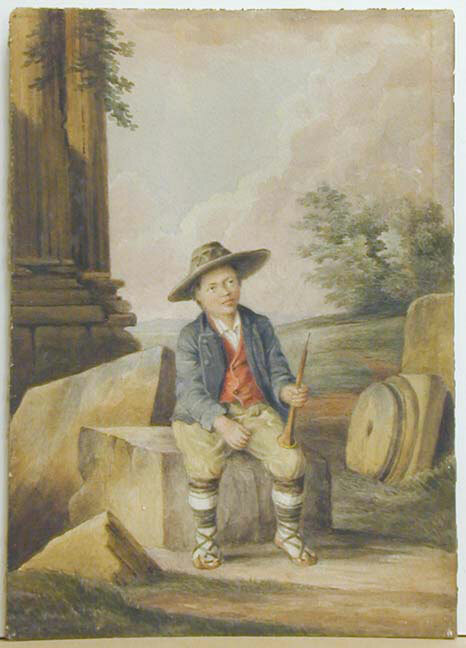 Watercolor on paper, 7 1/4 x 5 7/8 inches, c. 1875, signed "C. Monginot", l.r. 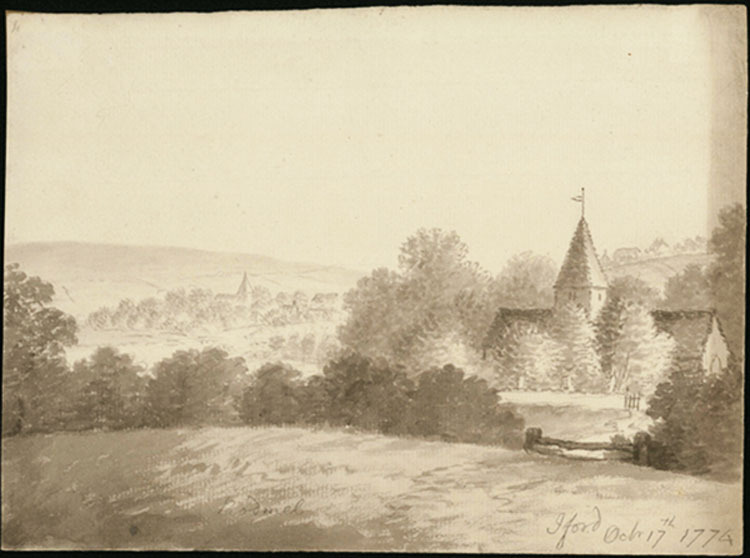 Ink Wash, image size 6 7/8 x 9 1/4 inches, 1774, information written on lower edge "Rodmel" and "Iford Oct. 17th, 1774. 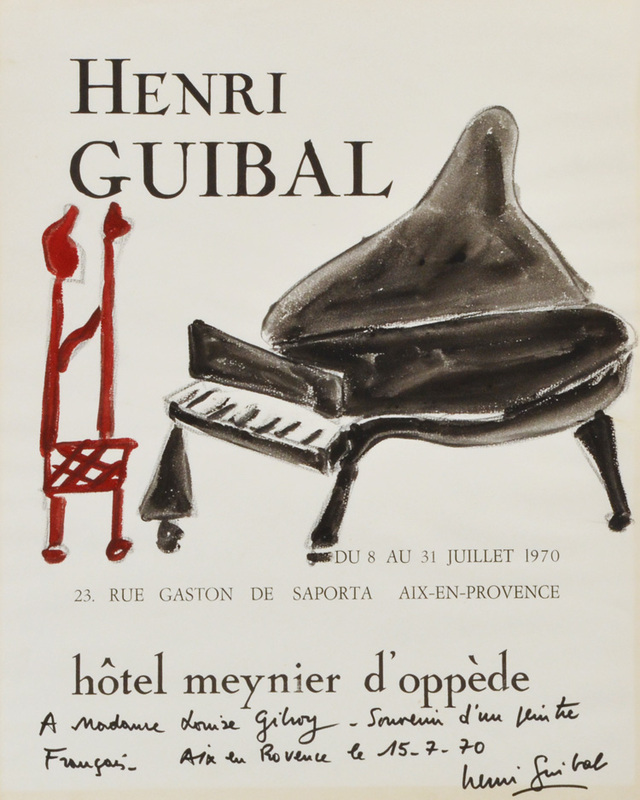 Watercolor study for festival poster held yearly at the Hotel Meynier d'Oppede, 1970, sheet size measuring 19 5/8 x 16 inches. Guibal was known for his abstract images of women, birds, the wind and the sea often with strong contrasting colors. 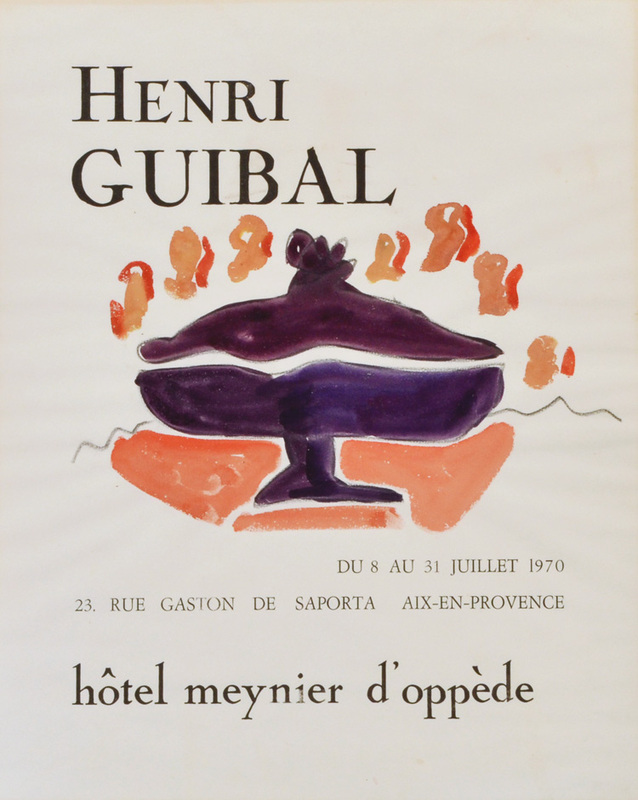 Watercolor study for a festival held at the Hotel Meynier d'Oppede in 1970, sheet size measures 19 5/8 x 16 inches. Guibal was known for his abstract motifs of wind, birds, women and the sea, exibiting in Paris, London, Stockholm and the US. 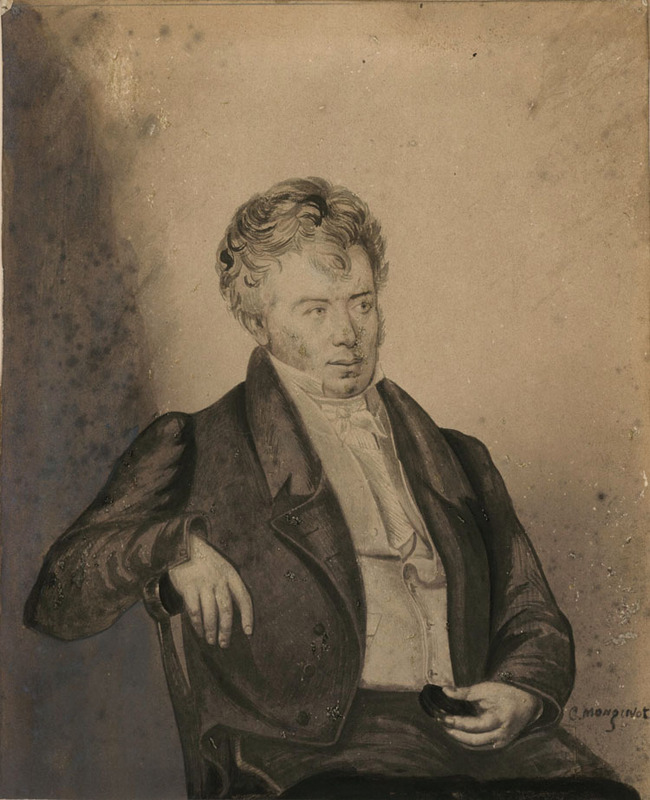 Watercolor study for Hotel Meynier d'Oppede cultural festival held yearly in Aix-En-Provence in southern France. 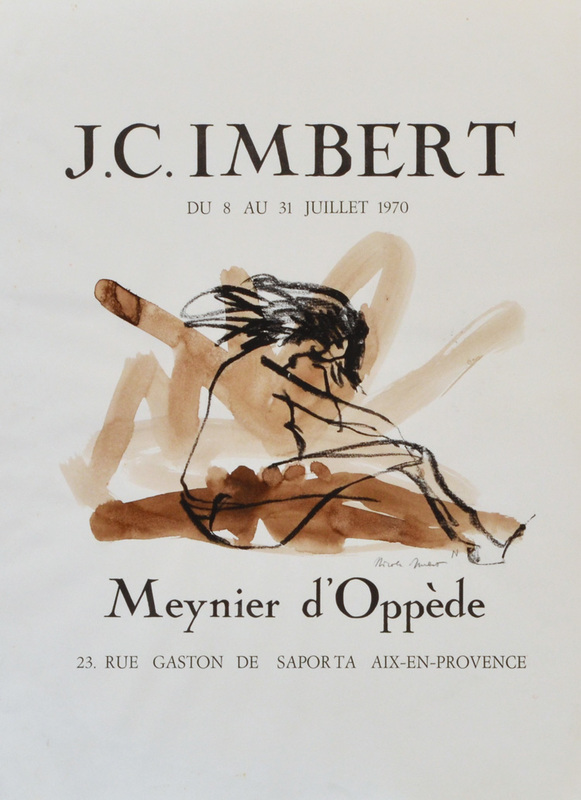 Sheet size is 20 x 15 1/4 inches, 1970, pencil signed "Imbert".